14 things you didn't know about Luxembourg, Europe's unhappiest country - The Telegraph. 16 things you didn't know about Panama, the world's happiest tax haven - The Telegraph. 50-gram CombiBar - "Is There Gold in Your Wallet?" Due to global banking and European currency crises, more and more investors have started to demand a higher number of small bars rather than few larger ones to increase their flexibility in the event of an economic crisis. 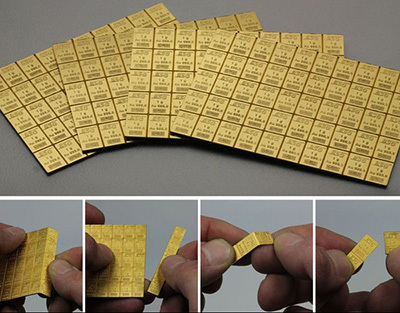 CombiBars are similar in dimension to a credit card. Their convenient size means that a Combi Bar can be easily and discreetly carried in your wallet. Just like standard bullion, CombiBars and the individual bars from the CombiBars can be sold at any time to precious metal dealers at the current purchasing rates. 24 fascinating things you didn't know about your passport - The Telegraph. analysis of everyday expat life in more than 60 countries - InterNations. AngloINFO French Riviera - "The global expat network." Everything you need for life on the Côte d’Azur - local information you can trust. There are many reasons why people move away from their home country: career opportunities, temporary expat job assignments, study, retirement, an improved quality of life, family commitments, second-home ownership or permanent emigration. Whatever the reason for moving, life in a new place can be unusual, complicated or just difficult. Whether you have been living abroad for ten years or you are just thinking about moving, AngloINFO is here to give you dependable support - whenever and wherever you need it. Apple defends moving offshore profits to the tax haven of Jersey - engadget. Best & Worst Places for Retirement - The New York Times. Best Passports To Have For Unrestricted Travel Around The World - The Henley & Partners Visa Restrictions Index. big U.S. tax dodging is done in full public view - Quartz. British Virgin Islands - the world's leading offshore haven. The Guardian: Offshore Secrets. Can you pass the US citizenship test? - The Guardian. cellist who holds key to tracing Putin’s hidden fortune - The Guardian. CIA: THE WORLD FACTBOOK - provides information on the history, people, government, economy, geography, communications, transportation, military, and transnational issues for 266 world entities. Citizenship by Investment Program - St. Kitts & Nevis. DEATH & TAXES - Benjamin Franklin. Death & Taxes (1 Page Book) [Poster] - Amazon.com. Double Irish arrangement - "'Dutch Sandwich' saves Google, Apple and many other U.S. companies billions in taxes." EB-5 visa | Green Card program - immigrant Investors is a United States visa created by the Immigration Act of 1990. Under the federal program, a foreigner who invests US$500,000 — and in some instances, US$1 million — in a project that will create at least 10 jobs can apply for a green card. It generally takes from 22 to 26 months to obtain legal residency through the program, as opposed to several years for other visa programs. Egmont Group - since 1995. Informal international network of financial intelligence units (FIUs). "The goal of the Egmont Group is to provide a forum for FIUs around the world to improve cooperation in the fight against money laundering and the financing of terrorism and to foster the implementation of domestic programs in this field." EU’s net starts to close on tax havens - The Guardian. EXPATIFY.COM - Inspiring Expatriatism. "We are the types of people who are always dreaming of living someplace else. It’s like dreaming about traveling, but more about dreaming becoming a part of a culture and experiencing what life is like in foreign (for now) places. With these dreams, we hope to inspire people to dream, investigate and experience what life is like in their choice of foreign country." Find out who’s behind almost 320,000 offshore companies & trusts from the Panama Papers - Offshore Leaks Database. FIVE FLAGS THEORY - definition & explanation. George Bolton - (1900-1982). British banker who was noted for his expertise in the foreign exchange market and as a leading influence on the rebirth of London after the Second World War. He served as director of the Bank of England, chairman for the Bank of London and South America and executive director of the International Monetary Fund. "George Bolton had a smart idea in 1958 for expanding the scope and profitability of the financial services sector in London. He developmed the Euro-dollar and the City of London began a new phase of its development - as a global hub for 'offshore' financial dealings, tax havens and fiscal paradises." Global Passport Power Rank 2017 - ranked by total visa-free score. Global super-rich has at least US$21 trillion hidden in secret tax havens - The Guardian. Global Travel Freedom at a Glance - The Henley & Partners Restrictions Index 2016. Global Wealth Report 2013 - Credit Suisse. 'Golden passports' threaten European security, warns EU commissioner - "‘Citizenship for sale’ under increasing scrutiny from governments and security agencies." GOOGLE'S TAX LOOPHOLE - the "Double Irish" and the "Dutch Sandwich" strategy. Guano Islands Act - a United States federal law passed by the U.S. Congress that enables citizens of the United States to take possession of unclaimed islands containing guano deposits. The islands can be located anywhere, so long as they are not occupied and not within the jurisdiction of another government. It also empowers the President of the United States to use the military to protect such interests and establishes the criminal jurisdiction of the United States in these territories. How Apple - and the Rest of Silicon Valley - Avoids the Tax Man - Wired. How Billion-Dollar Companies Paid Nothing in Taxes - The New York Times. How Donald Trump Turned the Tax Code Into a Giant Tax Shelter - The New York Times. How the U.S. became one of the world’s biggest tax havens - The Washington Post. how the world’s rich & famous hide their money offshore - The Guardian. How to explain offshore banking to a 5 year old - The Guardian. How to Hide $400 Million - The New York Times. How to hide it: inside secret world of wealth managers - The Guardian. How Wealthy People Protect Their Money - The Atlantic. ICIJ offshore Leaks Database - The International Consortium of Investigative Journalists. ICIJ releases The Paradise Papers - ICIJ. Inheritance tax, & how the Dukes of Westminster avoid it - The Telegraph. Inside the Secretive World of Tax-Avoidance Experts - The Atlantic. International Visa Restrictions - Henley & Partners. InterNations - "Connecting Global Minds." Community for expatriates & global minds. Enjoy the international experience with fellow global minds. Making life easier for expats. Helps expats to feel at home abroad, meet people and find information about their new environment. INTRODUCTION TO GOING OFFSHORE - Tax Haven Manual. IRELAND: TAX REGIME - IDA Ireland Investment Promotion Agency. Leaked Documents Expose Global Companies’ Secret Tax Deals in Luxembourg - ICIJ. Liberland - sovereign state located between Croatia and Serbia on the west bank of the Danube river. List of people with non-domiciled status in the UK - Wikipedia. Luxembourg tax files: how tiny state rubber-stamped tax avoidance on an industrial scale - The Guardian. LuxLeaks - the name of a journalistic investigation conducted by the International Consortium of Investigative Journalists, based on confidential information about tax rulings from 2002 to 2010 enabling global transfer pricing arrangements. MAILDROPS & SERVICED OFFICES - definition & explanation. Maltese passports: why the uber-rich are desperate to have one - "A passport from this country is 'the latest status symbol'. 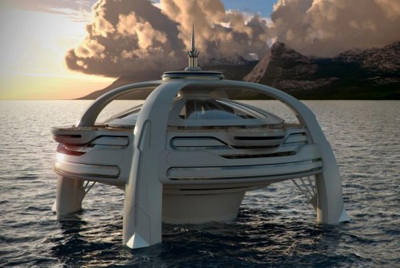 And the world’s wealthiest people are lining up for one." Mapped: Where in the world is safe from terror? - The Telegraph. MOBILE WEALTHY RESIDENCY INDEX - definition & explanation. 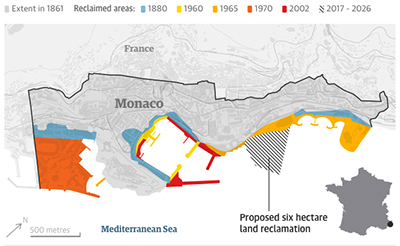 Monaco builds into the Med to house new throng of super-rich - The Guardian. Moneyval - term by which, both commonly and officially, is known the Committee of Experts on the Evaluation of Anti-Money Laundering Measures and the Financing of Terrorism, a monitoring body of the Council of Europe. Mossack Fonseca: inside the firm that helps the super-rich hide their money - The Guardian. Nevis: how the world’s most secretive offshore haven refuses to clean up - The Guardian. Non-Dom tax rule - definition & explanation. non-domiciled status - sometimes called a 'non-dom', is a person living in the United Kingdom who has either acquired a foreign domicile from their father, which is known as a 'domicile of origin', or who has abandoned their domicile of origin and can demonstrate the intention to reside outside of the UK indefinitely and actually enacts the intention. OFFSHORE Leaks - the name of a financial scandal that unmasked details of 130,000 offshore accounts in April 2013. Panama faces pressure to come into the fold - "Panama is one of just four jurisdictions — along with Bahrain, Nauru and Vanuatu — that have refused to sign up." Panama joins international efforts against tax evasion & avoidance - OECD. Panama papers: the names - "Search our database of 37,000 names linked to Mossack Fonseca companies in the tax haven of Panama." The Sunday Times. Panama, the world's happiest tax haven - The Telegraph. Passport Index 2017 - "Passports of the world ranked by their total visa-free score." Private Bank Fuels Fortunes of Putin’s Inner Circle - The New York Times. rarest passport in the world has only three holders - News.com.au. St. Kitts & Nevis Citizenship by Investment Program - "The Citizenship-by-Investment Program was established in 1984, making it the longest established program of this kind in the world." PT - THE PERPETUAL TRAVELER - definition & explanation. Revealed: the $2bn offshore trail that leads to Vladimir Putin - The Guardian. Secret Files Expose Offshore’s Global Impact - ICIJ. Secrets of Surveillance Capitalism - Frankfurter Allgemeine Zeitung. Switzerland: Best Country in the World - The New York Times. TAX AVOIDANCE AND TAX EVASION - Wikipedia. Tax evasion: blacklist of 21 countries with 'golden passport' schemes published - "OECD says schemes selling either residency or citizenship threaten efforts to combat tax evasion." 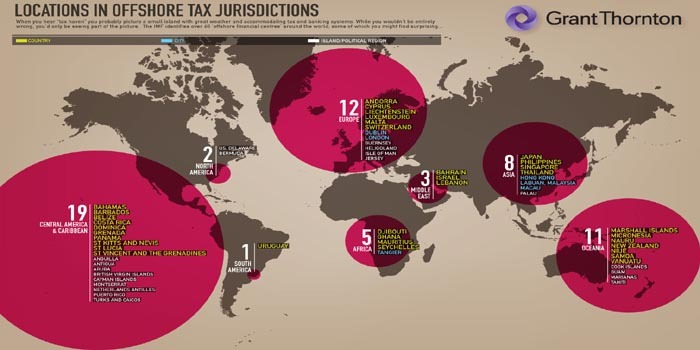 Tax havens explained: How the rich hide money - interactive. TAX JUSTICE NETWORK | TJN - independent organisation dedicated to high-level research, analysis and advocacy in the field of tax and regulation. We work to map, analyse and explain the role of taxation and the harmful impacts of tax evasion, tax avoidance, tax competition and tax havens. 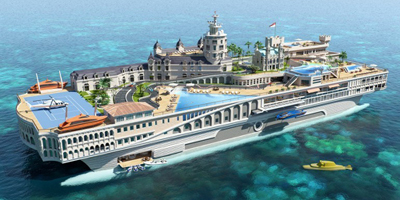 The 1 Percent: Secrets of global elite revealed - ICIJ. THE AL CAPONE METHOD - definition & explanation. THE AMBASSADOR - Danish documentary about how to obtain a legal diplomatic passport in Liberia. The Panama Papers - "Politicians, Criminals and the Rogue Industry That Hides Their Cash." ICIJ. The passport king who markets citizenship for cash - "Guardian investigation reveals how a small firm of wealth advisers built up a $3bn ‘golden passports’ industry and gained influence in the Caribbean." THE PRICE OF OFFSHORE REVISITED - "Global super-rich has at least US$21 trillion hidden in secret tax havens." - The research was undertaken for the Tax Justice Network by former McKinsey & Company chief economist James Henry. The Privacy Surgeon - "Dissecting the issues that matter to you." Ultimate Passport Ranking - GoEuro. U.S. Companies Hold Trillions of dollars of Profits Offshore - The New York Times. US corporations have $1.4tn hidden in tax havens, claims Oxfam report - The Guardian. Visa Restrictions Index & best passports 2016 - Henley & Partners. Visa Restriction Index 2007 to 2017 - Henley & Partners. Wealth Inequality Rising Fast, Oxfam Says, Faulting Tax Havens - The New York Times. What are The Panama Papers? - Biggest Leak in History. When can you legally travel without a passport? - BBC News. Why John Cleese is leaving the UK for Nevis - BBC News. world's cheapest places to emigrate to - The Telegraph. world's most corrupt countries - The Telegraph. world's most powerful passports for 2017 - The Telegraph. world's rarest passport has only 3 holders - The Sovereign Military Order of Malta.